The casting for the Royal Shakespeare Company’s Matilda The Musical, was announced today! 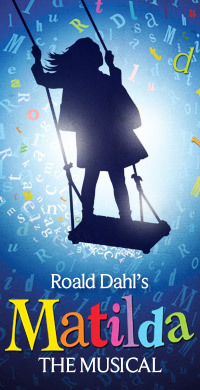 Most of you will already know by now* about Matilda The Musical, based on the enchanting Roald Dahl book, produced by the RSC and directed by Matthew Warchus. Acclaimed playwright Dennis Kelly wrote the book with the music and lyrics by a certain Tim Minchin, oh yes. Following a highly successful sold-out run at the Courtyard Theatre in Stratford-upon-Avon, from November 2010 to January 2011, the Royal Shakespeare Company’s world premiere production of Roald Dahl’s Matilda The Musical will transfer to London’s Cambridge Theatre, previewing from Tuesday 18 October. Many of the original cast will be returning, so Bertie Carvel is back as the hilariously terrifying Miss Trunchbull; Paul Kaye as the colourful chancer Mr Wormwood; Josie Walker as the flamboyantly expressive Mrs Wormwood and Lauren Ward as the gentle and kind Miss Honey. Also reprising their roles from the original production in Stratford, are Marc Antolin, Verity Bentham, Peter Howe, Michael Kent, Melanie La Barrie, Matthew Malthouse, Alastair Parker, Nick Searle and Emily Shaw. Further adult casting includes: Matthew Clark, Leanne Pinder, Rachel Moran, Lucy Thatcher, Tim Walton and Gary Watson. The four young actresses playing the role of Matilda are still being kept top secret and appropriately they will be announced on Dahl Day on Tuesday 13 September. As before there will be three teams of eight young performers playing the roles of Bruce, Lavender, Amanda, Nigel, Eric and the other pupils at Crunchem Hall Primary School. They are: Thomas Atkinson, Jake Bailey, James Beesley, Ruby Bridle, Oonagh Cox, Jemima Eaton, Alicia Gould, Zachary Harris, Callum Henderson, Fleur Houdijk, Jamie Kaye, William Keeler, Lily Laight, Katie Lee, Isobelle Molloy, Jemima Morgan, Toby Murray, Alfie Manser, Lucy May Pollard, Annabel Parsons, Ellie Simons, Louis Suc, Jaydon Vijn and Ted Wilson. If you’d like tickets to this amazing musical for adults and children alike then they are available from the Matilda The Musical website where you can also sign up to the RSC mailing list for news. The gorgeous soundtrack, recorded with the original Stratford-upon-Avon cast, will be out very soon. It’s available to pre-order from The RSC Shop already. *If you’d like more information and to see the trailer or to catch up with the story so far and read the awesome four and five star reviews the show received in Stratford-upon-Avon, pop on over to the Matilda page also accessible whenever you like via the pretty ‘Matilda’ tab at the top. Please bring this to Australia soon!!! We loved the musical, we went on the, first night. I would advise everyone to go and see it, brilliant kids brilliant Bertie( loved Dr Dee) brilliant Tim Minchin! won’t give it away, but loved Bertie in the gym scene!! Saw murder in the cathedral in Brighton also! This is super exciting i would love to see this… Will Matilda ever make it to Australia??? We want Matilda in the States! I have had my tickets since the first day they came on sale.I can’t wait for November to come ,here’s hoping Tim does lot’s more like this.He is just awesome in so many different ways. Wowsa! As a committed Tim fan, and a drama teacher this is a dream come true for me. I am planning a trip with my secondary school students to see the musical – I love the fact I can pass on my passion for Tim’s talent and awesome style to my students. I know we will be talking about it for long after the performance, and it will really inspire their own work. Thank you Tim! You rock, Tim. Excellent news.